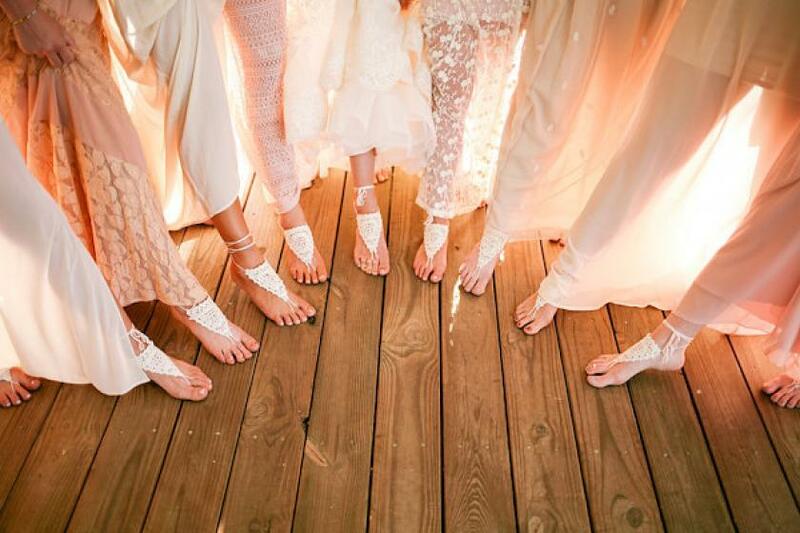 On the cutting edge of style – but soft and romantic with an heirloom touch, these crocheted lace barefoot sandals are just right for the Bohemian bride. For outdoor weddings from the beach to the family farm, these sweet sandals make walking barefoot in the grass a sensual pleasure with a lovely look. 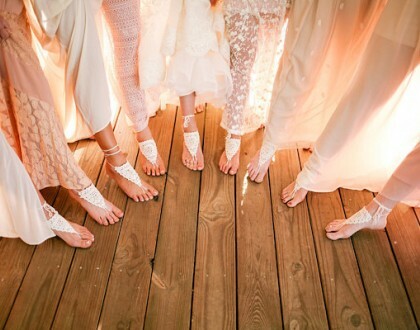 Comfortable to wear with or without shoes (so they’ll slip into your ceremony heels but stay on for barefoot dancing at the reception! ), these lace bridal anklets are made from 100% cotton yarn. They tie easily around the ankle, providing a perfectly adjustable and oh-so-easy fit. Barefoot sandals come as a pair. One size fits all. Kids’ versions can be made in many designs, too!